Liposuction or lipoplasty is a surgical procedure that works to gently reshape areas of the body through the removal of excess fat. At the Beverly Hills Center for Plastic & Laser Surgery, Dr. Ben Talei, a dual board certified facial plastic surgeon is a specialist in effectively using liposuction for areas that lack contouring. He also provides non-surgical & non-invasive treatment options. Whether it’s on the face, neck or cheeks, excessive fatty deposits can give the appearance of being overweight. From the dreaded double chin to a droopy neck, fat deposits can dramatically alter the appearance of the face. By gently removing those fat deposits through liposuction, Dr. Talei can give patients the proportion and contours they couldn’t achieve through diet and exercise. Liposuction is commonly used in conjunction with other surgical procedures like facelifts and necklifts. This gives patients a fully rejuvenated look. Liposuction must be used with great care because overly aggressive fat removal is nearly impossible to correct. That’s why it’s vitally important to use a highly skilled surgeon to perform procedures like this. Dr. Talei has dual fellowship training in facial cosmetic and reconstructive surgery and vascular birthmarks and congenital anomalies with laser surgery. 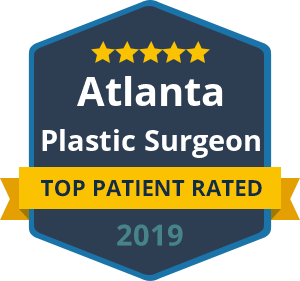 He knows the benefits and limitations of a procedure like liposuction, and Dr. Talei can effectively use it to give his patients the natural, youthful results they’re after. If you feel that you have areas of concern with excessive fatty deposits and could benefit from liposuction, contact our doctors at the Beverly Hills Center for Plastic & Laser Surgery to schedule your consultation with Dr. Talei. During this time, it’s important that you explain your goals for the procedure.